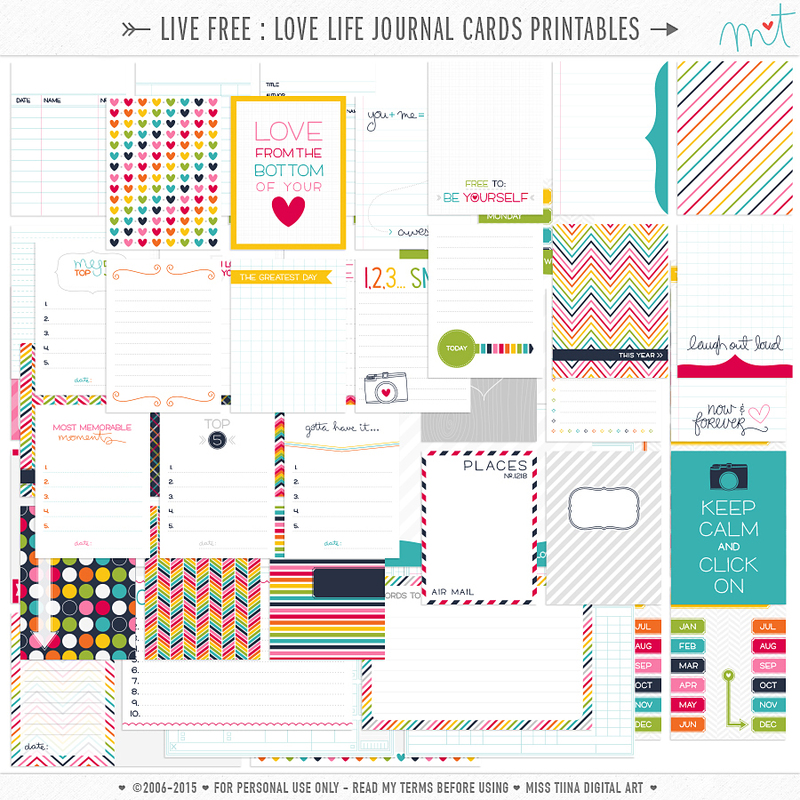 FREE printables for personal use from my Live Free : Love Life CU Collection! Love the beautiful bright colors! thanks!! Wow… Thank you! I love these! thanks so much for the updated journal cards! you are so thoughtful and generous! 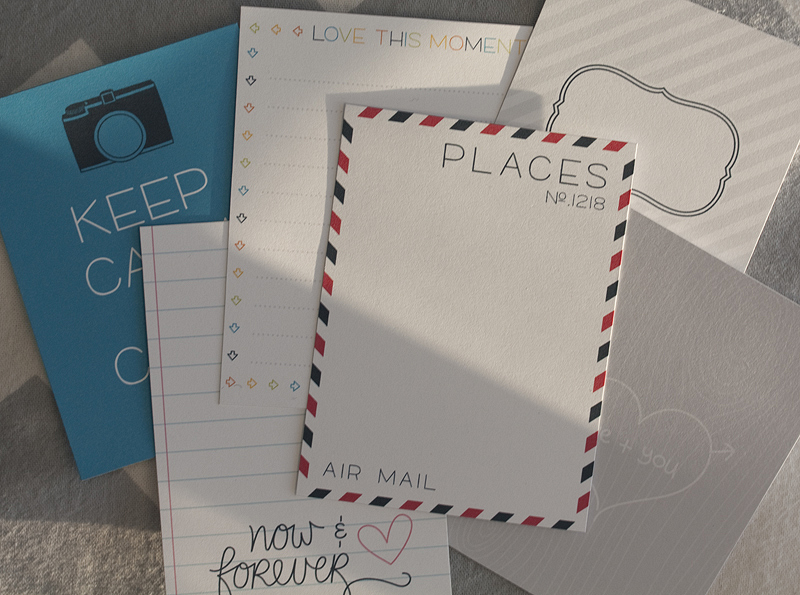 Love love these – you are so awesome with your designs and to share these with us all. THANK YOU!! You are so generous and very talented. Thank you so much for the best journal cards out there!!!!! Wow, what a generous gift! Thank you so much, they are gorgeous. thank you, these were brillinat in 2012, I am sure they will be used over and over again in 2013 too! Thank you for your generous gift…the cards are so cute!! Love these! Thank you very much. Wonderful gift – thank you very much. Happy New Year! Thanks, they’re so bright and cheerful! Thanks a lot for sharing these – they are so bright and colorful! These are wonderful, amazing, fun, cheery, bright, cute…and so fantastically generous!!! Thanks so much for sharing them! Thank you so much for the updated cards. Thank you SO much for sharing these!! Fun and fabulous! Thanks so much. Thank you! They are just beautiful! Thanks so much for these. I am just starting project life and I am hoping to use my stash so being able to just print these will help!! These are AWESOME! I’ve already used them a couple of times and have them ready to go for more journaling and I’m only in my 2nd week of Project Life. Thanks so much! Wow! Love these! Thanks so much for your generosity!! Thanks so much, these are beautiful! I love your style, the colors are perfect. Thanks so much for sharing!! Thanks, these are great. I am relatively new to Project Life. Are the colors meant to match up to any one particular Project Life set? Thanks in advance. Love the colors, I can’t wait to use these! Thank you so much for these! They are gorgeous!!! WOW! Thanks – these are great! Amazing! Thank You so much, Miss Tina, for your hard work in sharing all that you do. :-D Happy weekend! 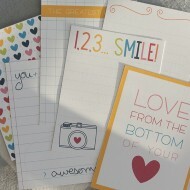 I love your journaling cards—thank you so very much! Love them thank you so much!!!! 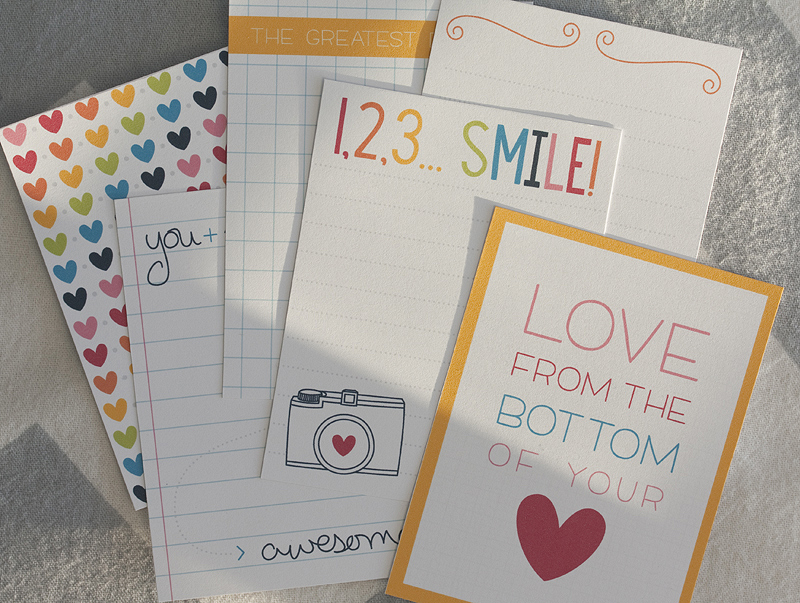 Thank you for sharing these cheerful cards! Thank you so much, this was just what I was looking for! Thanks for the freebie… they’re awesome! These are FABULOUS!!! Love the colors :) Thanks sooo much!!!! Simply amazing!! Thank you so much!! Thanks for sharing. Love the colors. Your stuff is so amazing. thank you so much for sharing!! Thank you so much for sharing your God given talents! Love your designs. I just wanted to tell you how amazing I think you are & to say thank you! 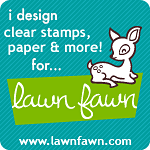 There are so many printables online & posted to Pinterest, especially related to Project Life, that claim to be “free”. However, then when you get to their blog or website it is not free, requires some kind of membership, wants your e-mail so they can send you tons of stuff everyday &/or requires you to download some special application but NOT here! 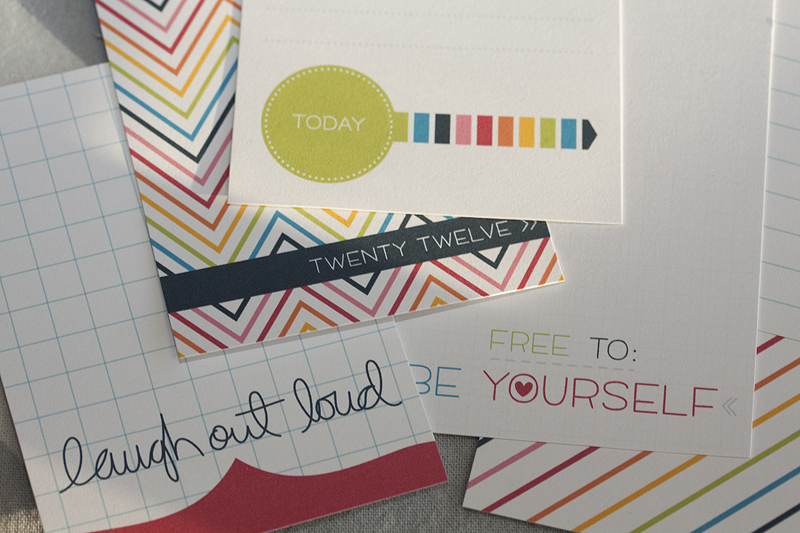 Your “free printables” are actually free and so beautiful! Thank you for sharing your amazing talent with us! Wow! These are so nice. Just printed some out and they are beautiful! Can’t wait to see what else you have in store for us soon! Thanks! LOVE these cards! Thanks so much for sharing! I linked up to your blog on mine so my readers know where to find them! Thanks again! these are just amazing!!! 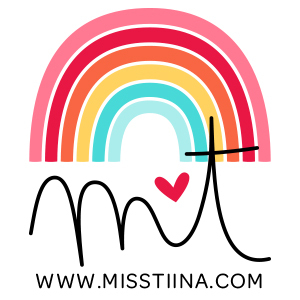 Thank you so much Miss Tiina :) I shared them on my blog to share with my readers. WOW! These journal cards are AWESOME! Thank you so much! thank you so much! love it !! fun fun fun, thanks soooooo much!! Thanks so much. 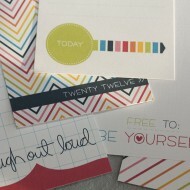 I enjoy using your card designs in my Project Life pages. Thanks for sharing your beautiful work! These are super fabulous!!! Thanks sooooo much for sharing!!! Love This!! Thank You so much! I cant wait to purchase some of the other pages you have! Will forward this! Thanks A million! So Cuuuute! wow… thank you soooooo much for sharing, love them so much. Merci beaucoup pour le partage elles sont très jolies ! Thank you for such beautiful things on your website. I know that I don’t say it enough, but thank you thank you thank you! I always get so excited when I receive your newsletter in my inbox. Beautiful! Thank you for sharing!!! Absolutely Awesome! Thank you so much! Thank you very much. I love them,and they are very beautiful. Quite beautiful! Thank you for these. These cards are juste what I was looking for, they are very beautiful! Thanks a lot! Pure awesomeness! Definitely am about to have a printing party!! These are awesome. Thank you! Just what I was looking for. thank you for sharing. Thank you SO SO MUCH for making these beautiful printables available to us for free. They are so adorable and I can tell that they are thoughtfully made. 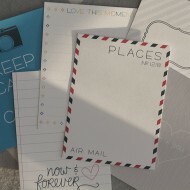 I like to use PL cards for scrapbooking, as bookmarks, planner inserts, and to give to my friends and penpals. Thank you again!! Love these! Thanks for being sooo generous! Thank you so much!!! My beat up (but filled with love) Moleskine notebook that contains my entire life, whole heart and a good chunk of my soul looks beautiful inside thanks to your free printables. I absolutely love them, thank you for making them free of personal use :) :) You have some fab karma coming your way!! Thank you so much for sharing! These are going to be fun to use! Thank YOU ever so much for those Lovely ,and Georgous Love Life Journal Cards , it’s exactely what I was looking for . It will look beautifull on my planner . Thks for sharing and your Generosity.